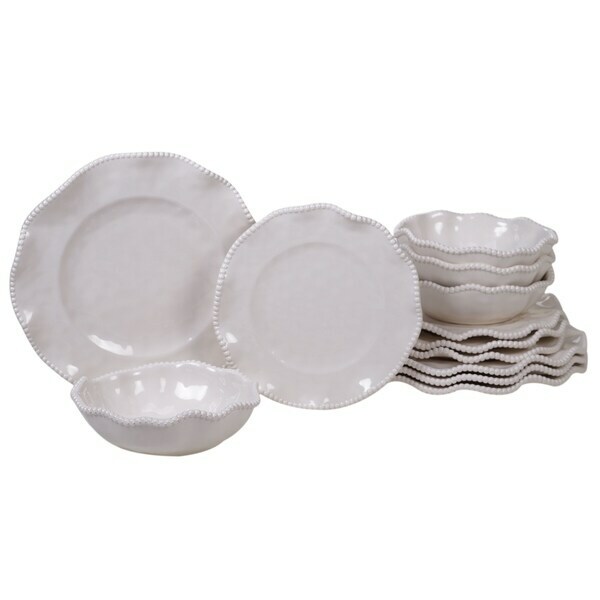 Our "Perlette" melamine dinnerware and serveware by Certified International, featuring beaded ruffled rims, is an elegant yet durable choice for your dining and serving needs. Made of 100 percent heavyweight melamine, it comes in 3 coordinating colors of cream, teal and coral. Mix and match with our patterned melamine designs for a sophisticated indoor or outdoor dining experience. Dimensions 11.0 In. X 11.0 In. X 1.0 In.